Stock market bulls have been mostly lazy and hazy this summer, but the bears have been having a picnic. Wall Street generally slows to a crawl during the summer as its denizens head for the Hamptons, leaving behind a historically lackluster market that often gives way to a strong fourth quarter. This year is living up to that billing, and it's bad news for those hoping that a springtime rally might carry through. "I'm seeing conviction on the sell side," said Dave Rovelli, managing director of US equity trading for Canaccord Adams. "A lot of the smart money is shorting stocks right now, especially in tech, which we didn't see for the longest time." There has been no direct correlation between high-volume days and moves lower in the market, but traders say they're seeing a momentum shift that features more conviction from sellers than buyers. Stocks are down about 5 percent since the official start of summer, even though the ratio between down days and up days is about even. The difference is that the decreases have been sharper while the gains have been mostly muted. Weakness in the economy, as evidenced primarily through a dour employment outlook, has many on Wall Street convinced that the market is headed lower following its 40 percent rally from mid-March to mid-June. Talk of improvement in the economy, market experts say, has abated now that investors are looking for tangible signs of real recovery rather than just beating weak expectations. "These guys can talk about green shoots, but there's nothing out there. It's all smoke and mirrors. The consumer's aggressively shrinking," Rovelli said. "I'm not saying it's going to a nightmare again, but we got way too ahead of ourselves." The Street, in fact, has been anticipating and even seems ready to welcome a pullback after the most recent spike, which many believe is unsustainable. Second-quarter earnings pose one obstacle, while continued fears over government debt and the possibility of long-term inflation that could come from another stimulus plan have added to concerns of a downturn. As a result, investors have been turning back to the relative safety of Treasurys, sending yields sharply lower recently despite a meteoric influx of government debt that ordinarily would push prices down and yields back up. "In the near term it's a simple correction. At the same time, the economy's so important—there's a lot of apprehension in front of these earnings reports. 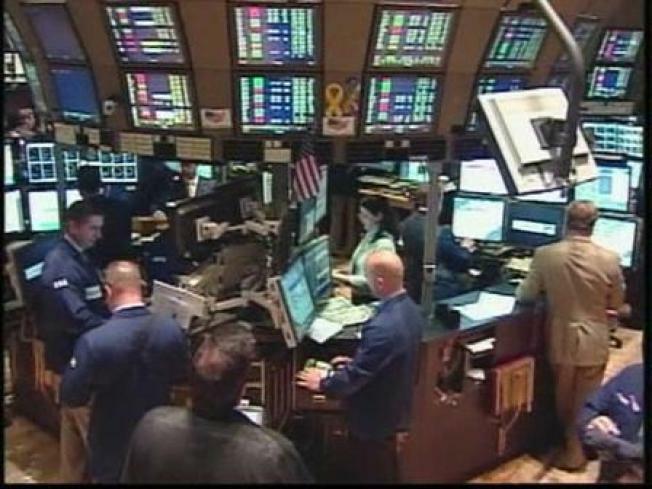 People are taking profits and getting out," said Ryan Detrick, analyst at Schaeffer's Investment Research in Cincinnati. "We're very bullish bonds here. We think bonds are a good way to play for the next month or two." Schaeffer's is using the iShares Barclays 20+ Year Treasury Bond ETF (NASDAQ: TLT), which has had several major volume spikes since mid-June, to play an expected move higher for prices on long-term bonds. Interestingly, options volume rose dramatically in June even as trading in stocks began to show signs of a summertime swoon. NYSE Euronext reported that average options volume jumped 66 percent in year-over-year comparison. That could indicate that the stock market might find itself with a busy summer that doesn't necessarily mean profits for long-only investors. "Volume's actually been picking up a little bit, it seems like, on this downside activity," Ben Lichtenstein, of Traders Audio, told CNBC. "There has been some new money coming into this market. It's just been on the short side, unfortunately." Traders are watching technical levels on the indexes closely for clues to what the summertime will hold. Lichtenstein said the market appears to be forming a "head-and-shoulders" pattern that could be indicative of another slump ahead. For the Standard & Poor's 500, 872 looks like a key level to see whether the market will hold its ground, he said. A comparable point would be about 8,000 for the Dow Jones Industrial Average, which fell to its lowest level since late-April in intraday trading Friday. But Detrick said the S&P could find its way to the 811 range, which he nevertheless said would not be cause for that much alarm. "We're probably due for more of a correction here. These jobs numbers really brought reality back," he said. "A 50 percent retracement sounds like a ways away. The rally we've had, that would be perfectly normal. That's what we're playing for." As earnings progress, there could be some additional volume jumps as the market is looking for strong outlooks as well as surpassed expectations. Canaccord's Rovelli advises short-term buying after earnings beats but then going bearish quickly afterwards as the economic damage and general feeling of pessimism unwinds through the market. "Let it trade a week or two and put yourself short," he said. "Pick and choose."